Davis Controls Ltd. - Blog: Davis Controls Ltd - How's Business? Davis Controls Ltd - How's Business? It may be due to the general state of the economy, or possibly it’s out of a genuine concern about our corporate health, that I am often asked the question “How’s business?”…. and I’m always very pleased to answer honestly, “It’s never been better”. For the last 3 years, while the economy has been weak and uncertain, Davis Controls has been on a bit of a roll, posting robust growth and solid profitability and so far this year, we appear to be on that same trajectory. Sales are up in most territories for nearly all of our Product lines, and several of our important suppliers have seen fit to officially recognize our performance by awarding us their most important prize for sales excellence. 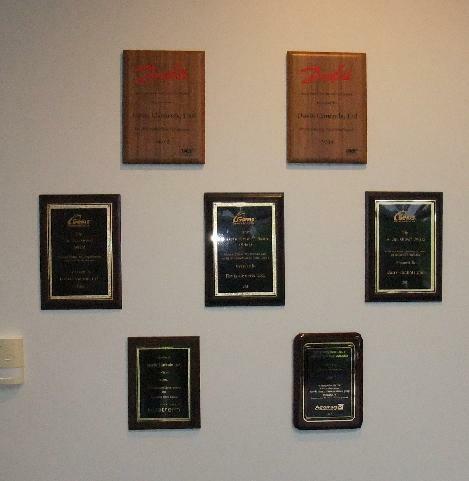 We proudly display these attractive plaques in our lobby for all to see. These honours are very special to us, since they demonstrate clear confirmation that our efforts are not only appreciated by our suppliers, but that our strong results continue to distinguish us among their other successful partners in the channel. 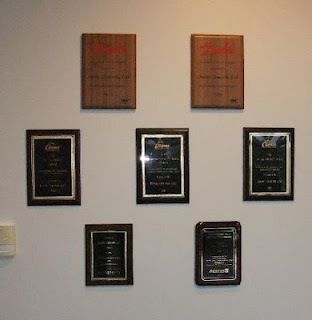 With a bit of luck, we should be able to add two or three more suppliers to our ‘Wall of Distinction’ this year.